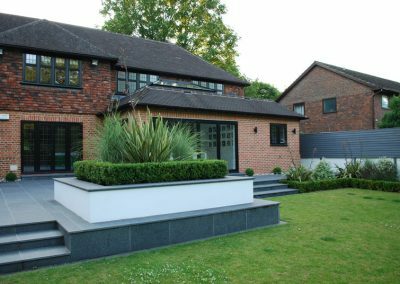 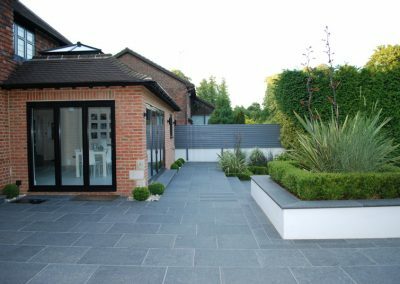 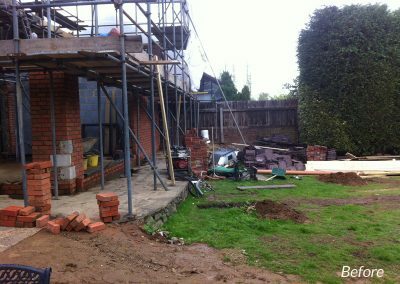 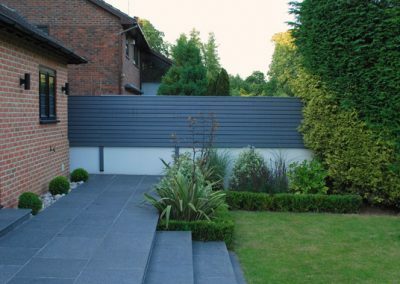 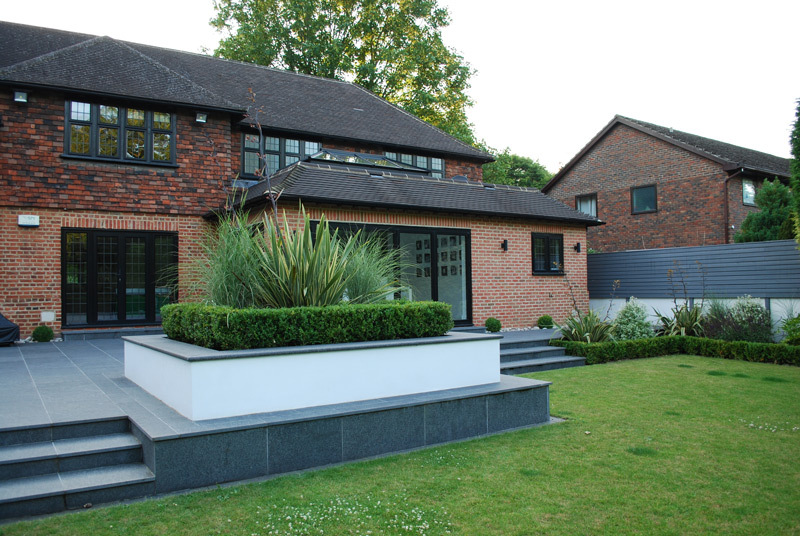 The brief for this garden was to create a new terrace which was more in scale with the clients house and new extension. 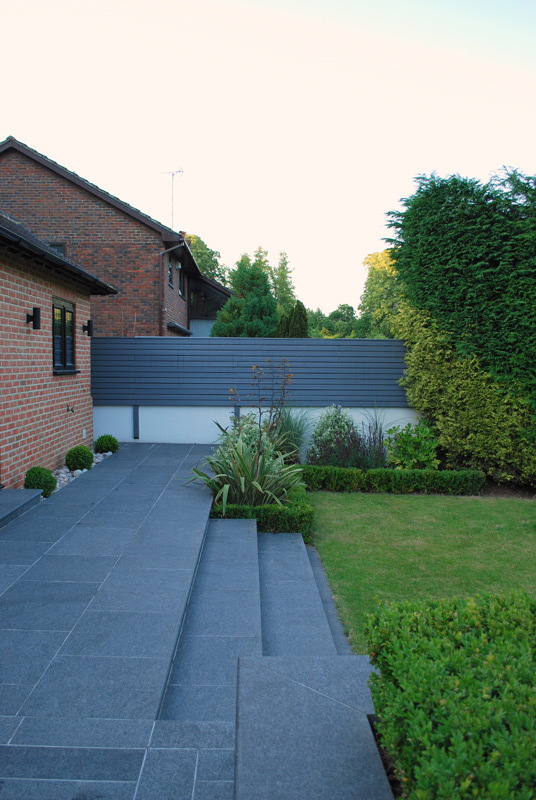 We created a large Granite entertaining space with matching steps leading down to the lawn. A feature raised central planter created a nice focal point which incorporated a perimeter Granite seat.